Enter the world of Arkna, become the greatest general and take your race to victory! 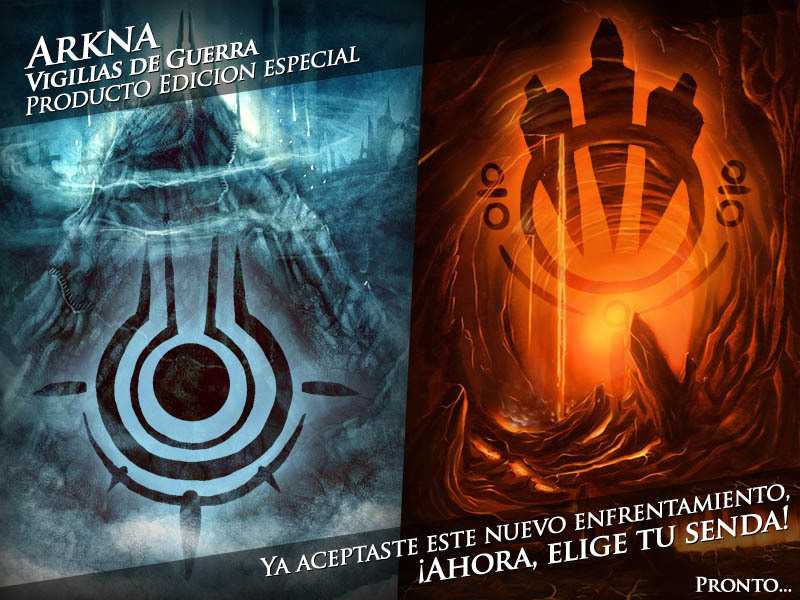 Arkna is a trading card game currently on sale in Chile. Two gods, Pocaltis and Dema, estranged father and son, are at war over supremacy of the world, Arkna. You become the general of a powerful army of one of five races: under the banner of Pocaltis, the races Ganech and Benzyl; under Dema’s banner, the races Uriah and Gorguth. The fifth race, Karhata, are neutral in this war. Teaser for Arkna: War Vigils.